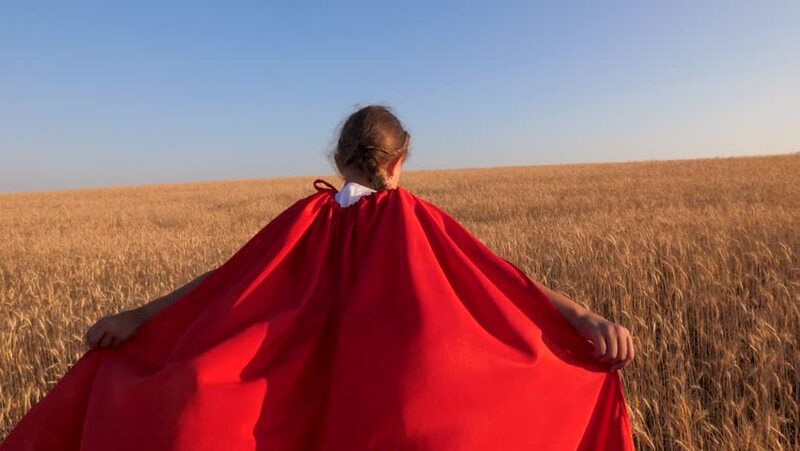 Girl supe rhero running across field with wheat in red cloak against blue sky. Slow motion. 4k00:30Super hero girl playing in wheat field. Slow motion.